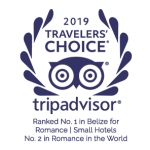 It’s the 7th year that Coco Plum Island Resort has been awarded with a Travelers’ Choice Award. 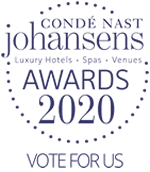 Recognized in categories of Best Small Hotels, Best Service, and Most Romantic we are honored and ecstatic to present these rankings. Yes, that’s right. Coco Plum Island Resort is officially the most Romantic Hotel in Belize! This is the second year in a row that Coco Plum has taken the top honor for Romance in Belize. Destination weddings, engagements, anniversaries, babymoons, honeymoons – you name it, we can assure you that Coco Plum is the ideal private island escape to create everlasting memories with that special someone. Check out our all inclusive honeymoon/romance packages … just in time for Valentine’s Day. This award for service is especially significant to us at it emphasizes what we are all about at Coco Plum – personalized customer service. Our guests arrive to our private island as strangers and leave as family, many of whom return year after year to be greeted by the same amazing staff members. Planning on booking a once in a lifetime vacation? Well remember, you are only a stranger until you arrive …. We are one of the few resorts in Belize that is still locally owned & managed so to be ranked in the Top 10 Best Small Hotels in Belize and Central America is a huge accomplishment! Coco Plum has been in operation for over 15 years and each year we strive to offer unparalleled service in an exotic island setting. Well, we must be doing something right! With only 18 oceanfront cabanas, Coco Plum guests are able to practically enjoy the entire 16-acre island to themselves. The Coco Plum team strives to create a transformative experience where guests can be as relaxed or as adventuresome as they wish. Our unique all inclusive packages make it easy for guests to pick and choose from different tours ranging from snorkeling on the Belize Barrier Reef to hiking ancient Maya ruins in Belize’s tropical jungle. These awards are complimented with a feature in the world-renowned travel publication, Travel and Leisure, where Coco Plum Island Resort is named as one of the top All Inclusive Resorts in Belize for 2017. See the comprehensive list of TripAdvisor awards here and start planning your 2017 vacation today! 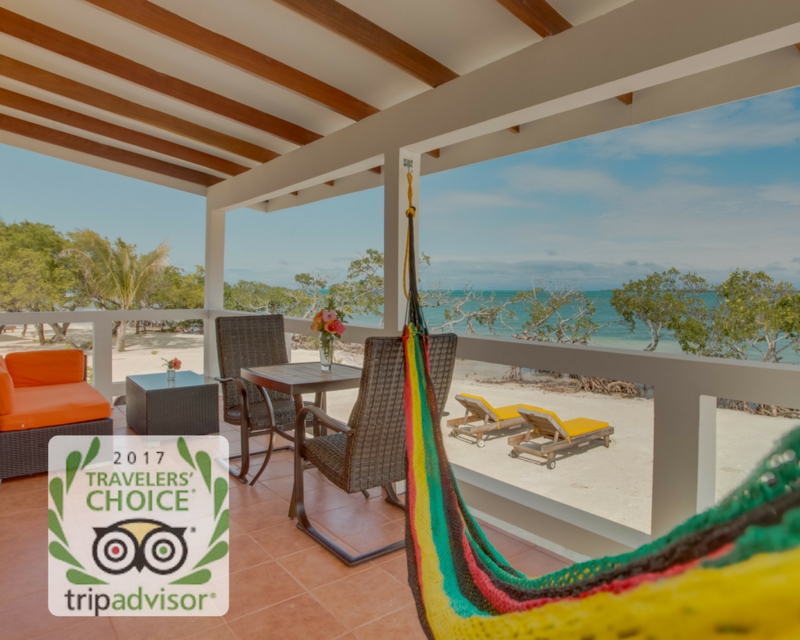 And that’s exactly what makes us look forward to the TripAdvisor Travelers’ Choice Awards each year because it comes from our guests who have stayed with us and experienced the paradise of Coco Plum for themselves. No award is greater than being recognized by our very own guests! Thank-you for continuously recommending us through your insightful TripAdvisor reviews. For those who’ve stayed with us but haven’t gotten time to share their wonderful review, it’s never too late to share your vacation experience with the world on TripAdvisor. Contact us directly today and let us help you plan your private island getaway! We’ll see you in paradise.